I had the pleasure to read Author Janice Thompson's book My Heart Belongs in San Francisco recently and wanted to share a review of this book with you. 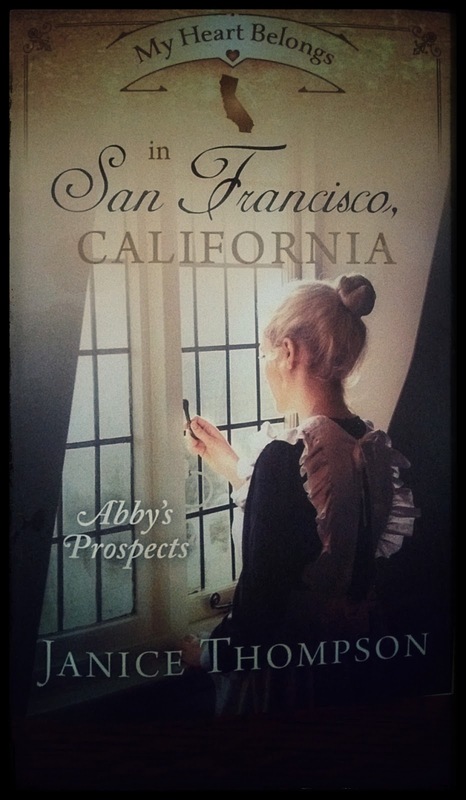 If you enjoy reading clean historical fiction, you'll want to read this one. Love comes unexpectedly for this English socialite. Her mind had one agenda, and her heart another. Author Janice Thompson wrote a wonderful romance set during the California gold rush era. Abby Effingham has a singular goal in place to find her wayward mother and bring her home. She encounters several pitfalls which waylay her search to find her mother. She takes the advice of a person she's met along the way and heads to San Francisco knowing the lure of the city will draw her mother there. Whom she meets there is a memorable cast of characters. Sam Harris is a hotel manager with a heart as large as the state he lives in. Will these two meet and fall in love? You'll have to see for yourself when you read this fast-paced, clean read.